Dr. Ptak brings decades of extensive knowledge, training and skills, combined with his deeply compassionate, caring nature, to provide personalized, results-oriented care for each and every patient. His vision is to help thousands of people live healthy, pain-free, fulfilling lives of purpose and prosperity. Born and raised in New York City, Dr. Ptak (and his mother) had dreams of becoming a doctor. While studying neuropsychology in graduate school, he injured his neck and lower back, which redirected his life’s purpose. Determining that the western medical model did not have the solutions to restore him to optimum health and well-being, Dr. Ptak sought a different approach. His search led him to chiropractic care, where he regained his health and changed his career path from western medicine to studying across the country at the world-famous Los Angeles Chiropractic College. While there, he deepened his understanding of health and wellness for the whole person. Dr. Ptak has a love for children and sports. Baseball, football and hockey were his favorites to watch and play growing up. An avid baseball player with major league aspirations, Dr. Ptak was a little league pitcher and pitched his way through high school years. A hurdle he fought to overcome was asthma. While under his chiropractic care for his spinal injuries, Dr. Ptak’s childhood asthma cleared. After 22 years of asthma medication, Dr. Ptak became drug free, and has remained such these last 40 years. His passion for athletes and children grew out of these miraculous events. After earning his Doctor of Chiropractic in 1985, Dr. Ptak established Ptak Family Chiropractic in Santa Monica one year later. He has continued to educate himself about the connection of health, mind and body, with additional training in holistic health, acupuncture, nutrition, mind body medicine, functional neurology and neurospinal biomechanics. In 2009, Dr. Ptak went back to graduate school at the University of Santa Monica for a Master of Arts degree in Spiritual Psychology, which gives him a unique perspective of how one’s consciousness influences their physical well-being. 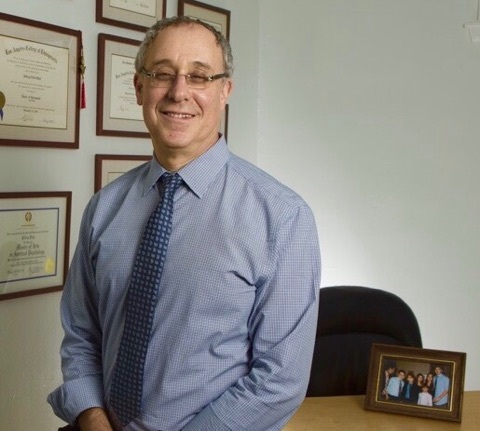 Dr. Ptak has continued his education in Functional Neurology from 2009 – the present by completing courses for diplomat status at The Carrick Institute of Graduate Studies in Cape Canaveral, Florida. Dr. Ptak is an active member of the International Chiropractic Association, The International Chiropractic Pediatric Association, The International Association of Functional Neurology and Rehabilitation,The International Chiropractic Scoliosis Board, The Foundation For Chiropractic Education and Research, The Council on Sports Injuries and Physical Fitness, The California Chiropractic Association, The National Board of Chiropractic Examiners, Musician’s Health and the Chiropractic Performing Arts Network, and is a past California Qualified Medical Examiner in Chiropractic. Dr. Kim received her Doctorate of Chiropractic from Life Chiropractic in Northern California in 2014. Her journey to become a HEALTH-CARE provider was not something she had always in mind. It was when it became apparent to her that the health-care we know today is based on sick-care. Dr. Kim wants to help revolutionize this health care model. 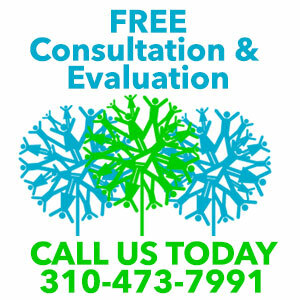 Dr. Kim was first introduced to chiropractic due to migraines that started in her early teens up until her early 20’s. She was prescribed anti-seizure medication that made her symptoms worse. Overtime, she relied heavily on Excedrin which led to stomach pains and other gastro-intestinal issues. After a few visits with her Chiropractor, she noticed a huge change in the frequency and intensity with her migraines–it wasn’t a miracle…it was Chiropractic. Good-bye Costco-sized Excedrin bottle! Dr. Kim thought that this was something to really look into and ev-e-ry single person should know about! As a native Angeleno and new mother, she wants to be involved in her community by making Chiropractic available for everyone. Dr. Kim believes it is important to ensure wellness by educating her patients the significance of their spine to restore proper function. She is skilled in a wide array of techniques to provide the best possible health care that can help all sorts of individuals. In her spare time, she enjoys being involved/attending community events, supporting local businesses, hiking, snowboarding, circuit training, playing with her pups, dining out, and most of all, being a mother to her daughter, Dylan. She is excited to serve YOU at Ptak Family Chiropractic! Yesenia Ramirez skillfully assists Dr. Ptak with patient care while also running the front office efficiently. She has been a stabilizing presence at Ptak Family Chiropractic since 2011, while earning her Bachelor’s degree in Kinesiology at Cal State Dominguez Hills. Prior to that, she worked for several other chiropractors. A native Los Angeleno, Yesenia takes health care very seriously. Her enthusiasm for Chiropractic and natural health came from an upbringing where her family’s approach was one of proactive health vs. a more traditional symptom-based model of care. Since both her parents worked, Yesenia was responsible for helping take care of the younger children in her large family, and caring for kids remains a passion. This is why Yesenia especially loves supporting the families who come into the Ptak Chiropractic office, which she does in her uniquely gentle, comforting way. Currently enrolled in a Master’s program in Kinesiology, Yesenia looks forward to assisting our patient base with her ever-expanding knowledge in the fields of Occupational Therapy and Physical Therapy. She plans to combine these skills with the Ptak Chiropractic philosophy and principles of a healthy, brain-based, neurological model of healthcare. Rakalaya is likely the first person you will see upon entering the office. She greets you, excited to assist you on your journey towards healing and a better quality of life. Determined to find a line of work that is both of service to others and a positive environment for growth, Ptak Family Chiropractic entered her life as an opportunity to do just that. Raised in Los Angeles, CA, Rakalaya has been truly blessed to surround herself with those who believe in the importance of the power of our thoughts to create our reality. Dr. Ptak’s philosophy, “what we think about, we bring about”, is directly in alignment with hers, and seeing that this philosophy works to bring about healing is one of the main things that drew her to this work. After being hit by a car on rollerblades, Rakalaya sustained injuries to her spine. After visiting other doctors with little improvements to her injuries, the intention of “really healing my body”, led her to Ptak Family Chiropractic. As the middle child of 7, with prior years of experience as a nanny, family holds high importance to her. You can count on Raki to give full assistance to the kids on their visits, making it enjoyable and exciting for them to return. Rakalaya truly enjoys the family atmosphere and the focus on child care here. With the understanding of the importance of fixing subluxations as soon as possible, she will inspire you to refer your friends, family and coworkers to ensure a positive quality of life.